We provide Youth Martial Arts Training (ages 5 to 18 years old) throughout Mendocino County. We provide structured training for our students and teach them critical life skills such as: respect, focus, perseverance, self-awareness, compassion, and self-discipline. We specialize in working with youth who have grown up in highly adverse environments including but not limited to: physical abuse, sexual abuse, neglect, and other highly traumatic experiences. We work with a wide variety of organizations and individuals throughout Mendocino County. A few of the organizations we currently work with include: Tapestry Family Services, Mendocino County Social Services, The Arbor (DFC), Laytonville Healthy Start, Redwood Children’s Services, Ukiah High School, South Valley High School, Pomolita Middle School, and Laytonville Middle School. In addition, we lead private training programs for parents and children throughout Mendocino County. Aikido is a Japanese martial art that is practical for self-defense while offering a peaceful path to conflict resolution. It can be translated as “The Art of Harmonizing with the Spirit”. The real essence of aikido is to respond in the moment to the energy of an attack with a relaxed calm movement that allows for the situation to end with the most positive outcome for all parties involved. We all participate in some form of aikido throughout our day. When you are in an argument, find yourself feeling stressed, feel overwhelmed by the obstacles you face in front of you you are dealing with an attack on your well being. Aikido teaches you to respond to this attack in a manner that instills peace and harmony not only in yourself but in your attacker as well. Sensei Izzy was born and raised in Mendocino County. After completing college, Sensei Izzy moved to Los Angeles and taught 6th and 7th graders Math, Science and History in South Central. He left Los Angeles in 2010. During this time he earned his Masters Degree in the field of Education. In 2011, Izzy moved to Japan in order to study the martial art of Aikido. While in Japan, he trained in the Kenshusei program at Mugenjuku Aikido in Kyoto, Japan under Jaques Payet Shihan (8th degree black belt). The Kenshusei program is an intensive six hours a day five days per week Aikido training program. It is specifically designed for students who are seeking intensive Aikido training. He trained as a student in this program for one year, while being an instructor in the program the second year. 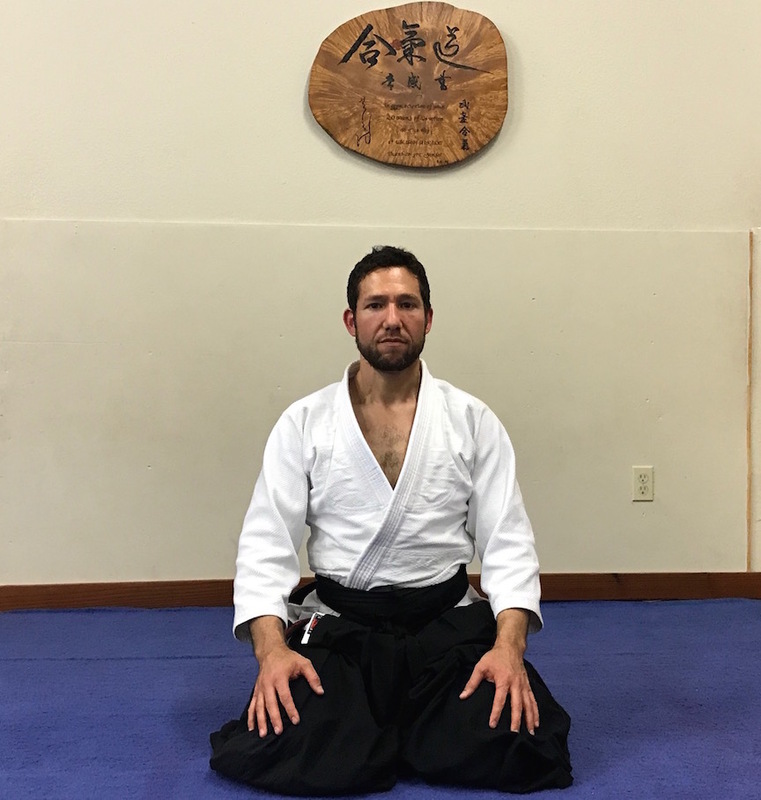 After returning from Japan, Sensei Izzy moved back to Mendocino County where he has continued his Aikido training at Ukiah Aikido under Sensei Carol Marrington. He is also an instructor at Ukiah Aikido, teaching children and adult classes. Sensei Izzy has 15 years of experience working with children. He works with children ages ranging from 5 to 18 years old. He specializes in working with children who have faced highly traumatic experiences. Sensei Izzy is a certified 1st degree black belt in the Aikikai style of Aikido, and a certified 2nd degree black belt in the Yoshinkan style of Aikido. He started training in the art of Aikido in 2007. From 2011 to 2015 he lived and trained in Japan, under Jacques Payet Shihan. He has trained in a wide variety of styles and visited over 40 dojos throughout the world where he has studied the art of Aikido.